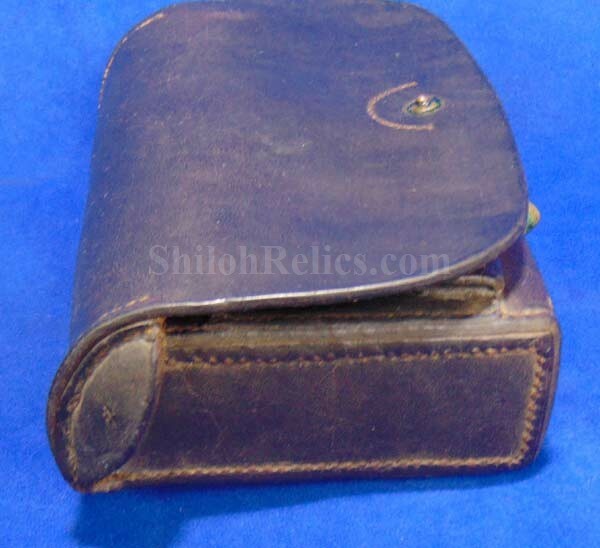 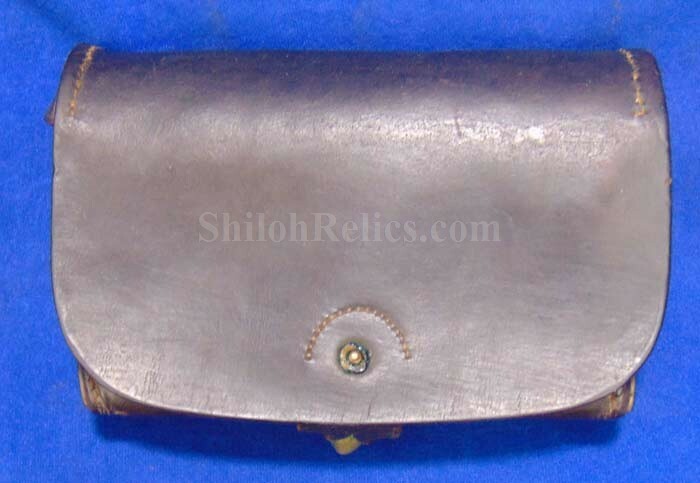 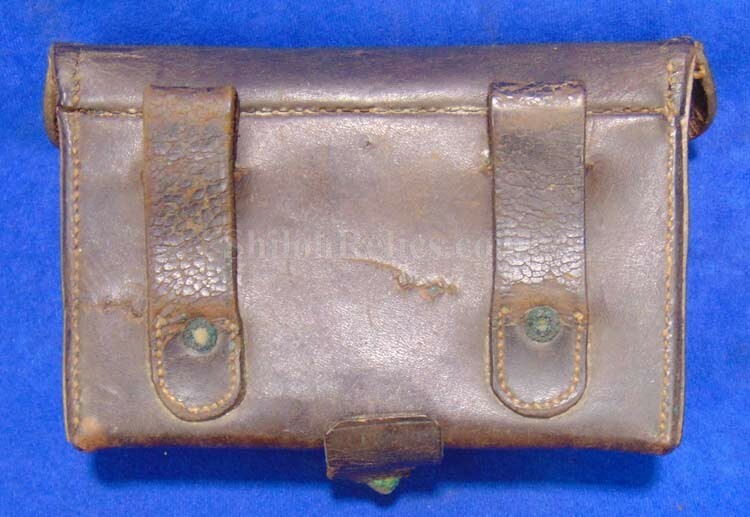 This is a very nice looking leather cartridge box for the Sharps patent Civil War cavalry carbine. 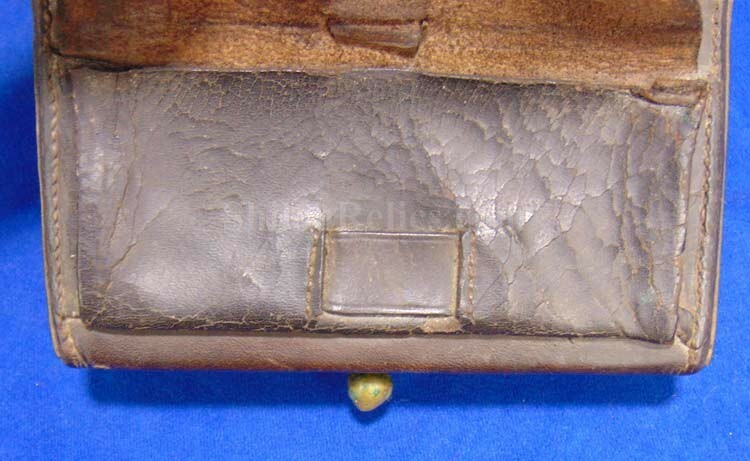 This is the classic design that was to be carried by one of the mounted troopers that were lucky enough to have one of the state of the art carbines instead of a rifle or musket. 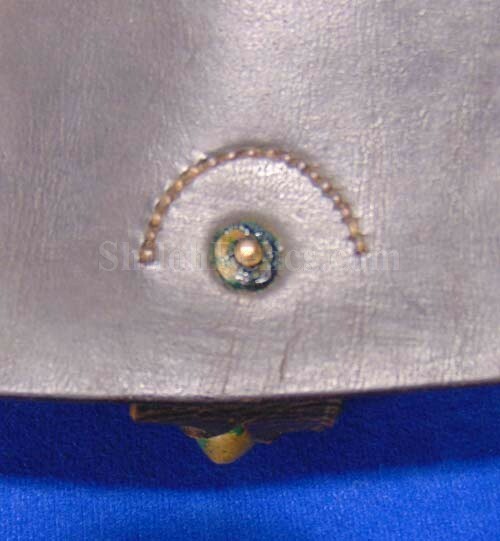 The outer flap on has the original closure tab present as well as the brass finial on the bottom of the box. 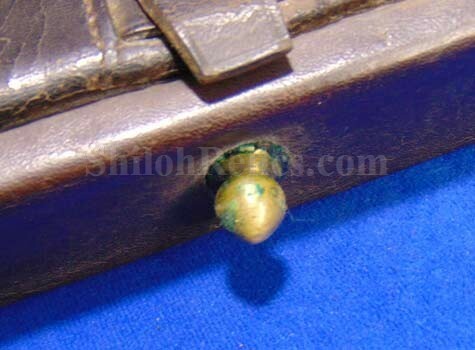 When you lift the outer flap it reveals the inner flap as well as the implement pouch on the innermost body. 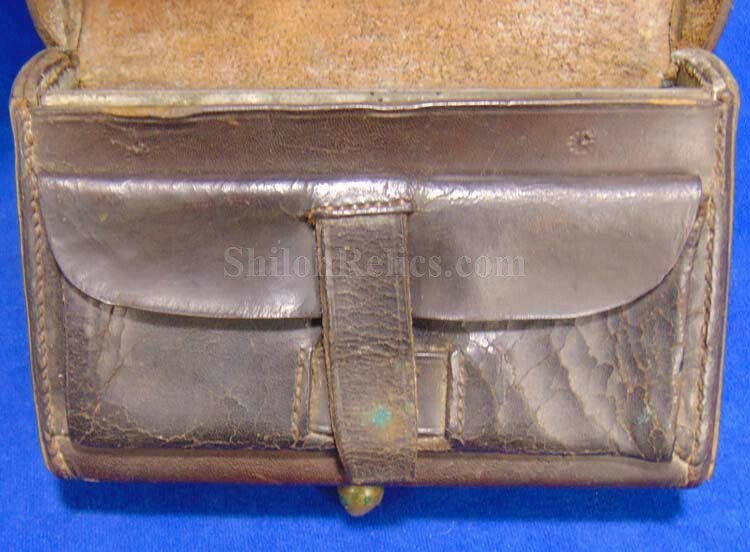 In the innermost compartment it has the original tin that would have held the cartridges remaining. 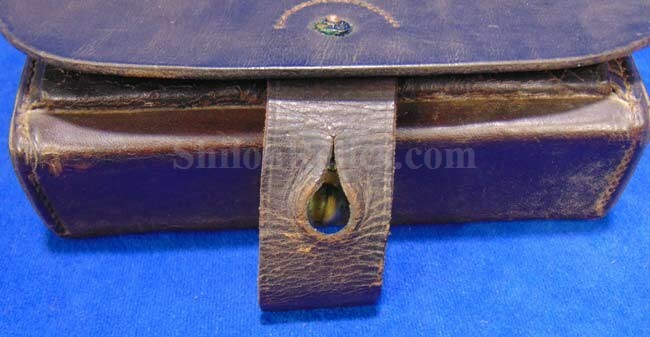 On the back of the box it has both of the original leather belt loops intact. 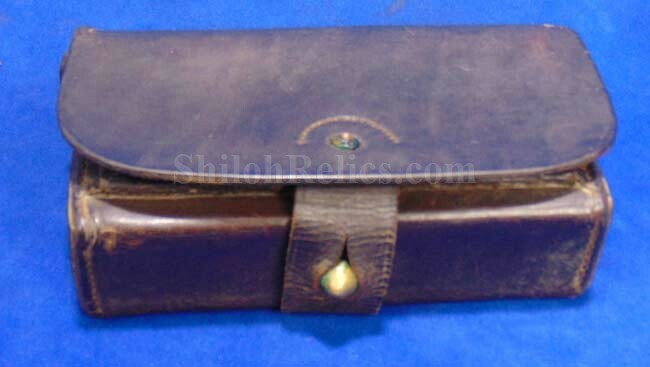 This is a beautiful displaying Civil War cavalry carbine cartridge box. 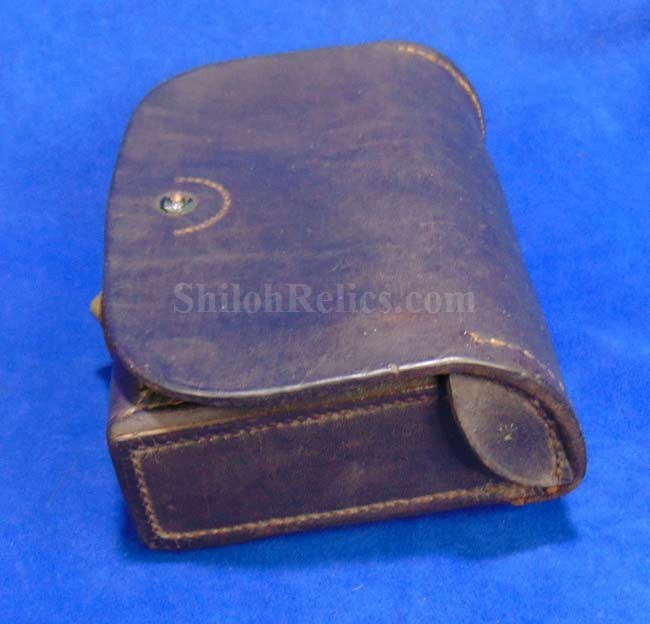 for the Sharps patent carbine.